Despite slow economic growth in the UK, Bristol’s commercial property market is booming as more and more businesses and startups choose to set up or invest here. The city itself is going through a number of changes, with major improvements to the city centre and the introduction of the city’s new MetroBus not far on the horizon. The city is also seeing major new commercial development come online very soon, from continued development of the Paintworks to the shiny new Aurora building set to be the jewel in the crown of the new Finzels Reach area in Bristol’s ever-expanding central business district. 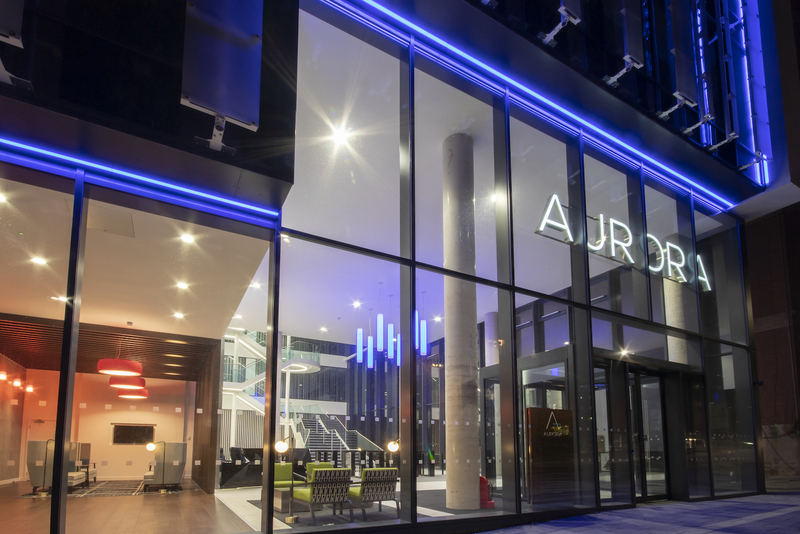 In this article, we have rounded up a few of the latest commercial property developments in Bristol. Aurora is the dreamchild of developer, Cubex and is expected to be completed by the end of this year’s second quarter. Set in the Finzels Reach area of Bristol’s growing central business district, the building has been built to a BREEAM rating of ‘Outstanding’ for its credentials in sustainability. It certainly looks futuristic and impressive from the artist’s impressions. The Aurora features an exceptional interior and exterior. It also has convenient access to transport links and commercial centres. Cabot Circus is only 5-minute walk and Temple Meads Railway Station is only a 10-minute walk away. This Grade A building is set to house several companies, with pre-lets already secured to Simmons & Simmons and Mewburn Ellis. 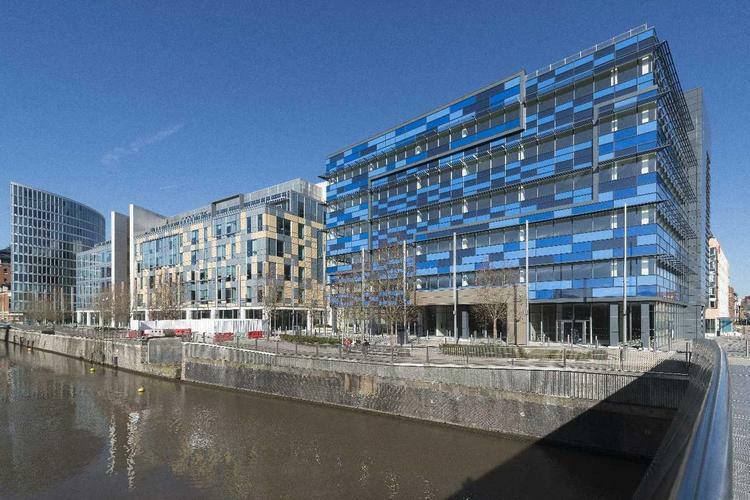 Glass Wharf is one of the most prestigious office buildings in the busy business centre of Bristol. It has an ‘Excellent’ BREEAM rating, and an EPC Rating of B. It is located very close to Bristol Temple Meads station in the Temple Quarter Enterprise Zone and is also easily accessible by bike and car, as well as local transport links. The area caters to a number of businesses already and has a number of eateries and local amenities. The building has an open floor plan, which is suited for single or multiple companies to let a whole floor. The open plan aims to accommodate all types of lessees and their specific requirements. 2 Glass Wharf has already been let to PwC (4th, 5th and 6th floors) and Arcadis (first floor). With a budget of £300 million, the new Temple Quarter Campus is set to become one of the most advanced learning centres in the UK. 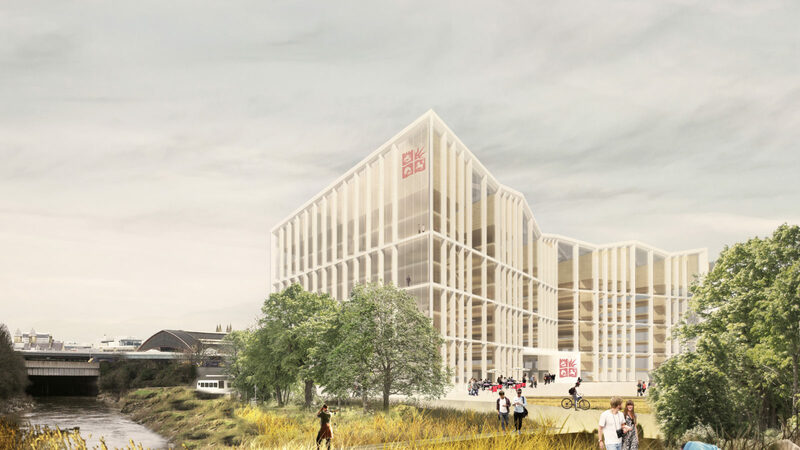 The new campus is set to turn a familiar eyesore next to Bristol Temple Meads Station into an open campus that is a benefit to the whole city (and will certainly be a nicer site greeting those coming to Bristol by rail). Besides the campus’ landmark buildings and green open spaces, the campus will feature an enterprise hub and a student village. As of today, the master plan for the Temple Quarter Campus has adjusted to provide more spaces for commercial use.The Temple Quarter Campus will mostly offer classes to postgraduate students. The Engine Shed is a well-known area of Bristol’s thriving startup scene and building on the success of this, the Engine Shed 2 was signed off in November 2016. This commercial development makes use of the old buildings of George and Railway Hotel, which are already in the process of renovation and set to open in early 2020. The plans of Engine Shed 2 show a modern design layout with a large glass office block on top of a two-story commercial and retail space. Like the original Engine Shed, the purpose of the development is as a startup incubator, encouraging innovation and creativity for Bristol businesses in the creative and technology sectors. Engine Shed 2 also wants to address the growing need for more collaborative space for freelancers and teams to use in central Bristol. With the success of Paintworks Phase 1 and Phase 2 developments, Paintworks Phase 3 is set to be completed in the fourth quarter of 2018. Just like previous phases, Phase 3 will provide both commercial and residential premises. The development is situated inside the Paintworks’ existing 12-acre regeneration project. The Paintworks development is housed in South Bristol, near Brislington and Totterdown and is a short walk from Temple Meads Train Station. It’s known for its modern contemporary design with many creative and tech businesses based there. The buildings are supposedly built to enhance creativity, with large windows that allow a lot of natural light. Paintworks Phase 3 will feature an Enterprise Zone and a 910 sqm TV Building. These five new commercial properties in Bristol will add much-needed office and coworking space and continue to boost Bristol’s economic growth and cement the city’s status as one of the best places to live and work in the UK and a viable and attractive alternative to London.